Sharing my views on Nelf Cosmetics Aqua Foundation that came to me as a part of their new launch kit. Packaging: Its an attractive glass bottle pack with dispenser outlet on the top. The dispenser nozzle is covered with a transparent cap. The cap on the bottle gets shut tightly. But it could have been light weight if made of material other than glass. Its easy to use and eject the desired amount of product without any hassle using the pump bottle. I received the foundation in Shell Fair shade. (Not sure of other shades available as it is yet to be launched). The foundation is decently viscose and doesn't run on your palm like a watery thin fluid. 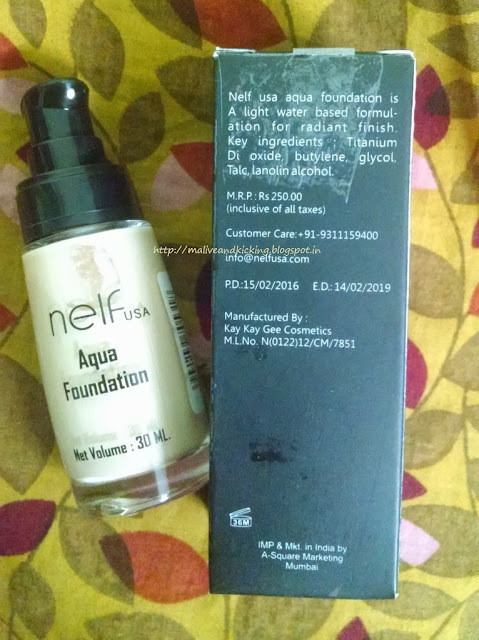 I had my doubts when looked at the product within the bottle which looked one tone fairer than my natural skin color. But taking it out on my palm cleared my doubts as I found the shade slightly darker. I wish there was another shade with warm yellow undertones. 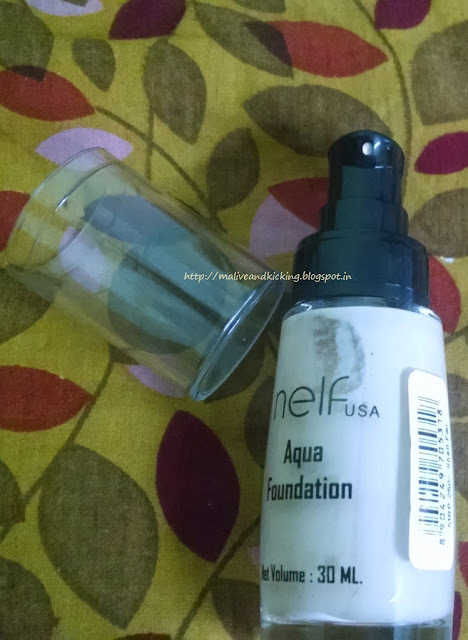 The word 'Aqua' in the Nelf Cosmetics foundation name points out clearly that its a water based foundation. So it doesn't feel uncomfortable to wear on skin. I've been using it for few days now. I've used my fingers and the beauty blender sponge both to blend the foundation. It spreads effortlessly on skin and creates a seamlessly blended look. 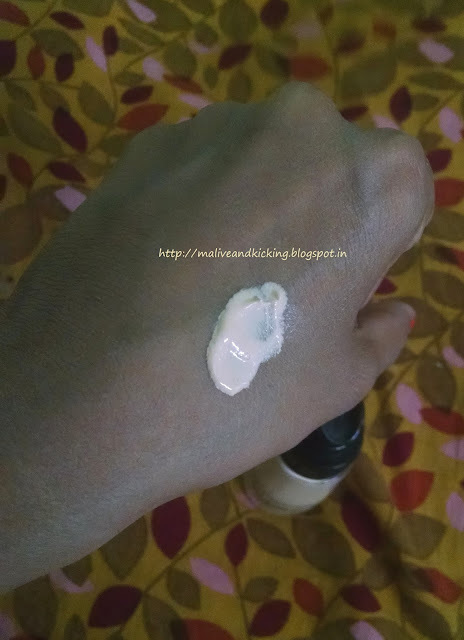 If you have dry skin like mine, it would give better finish if you prime your face with a light moisturizer or primer, else it may look patchy after some time. The foundation sets matte with zero shine which I like a lot. It offers light to medium degree of coverage, but the complexion is instantly revived upon usage. 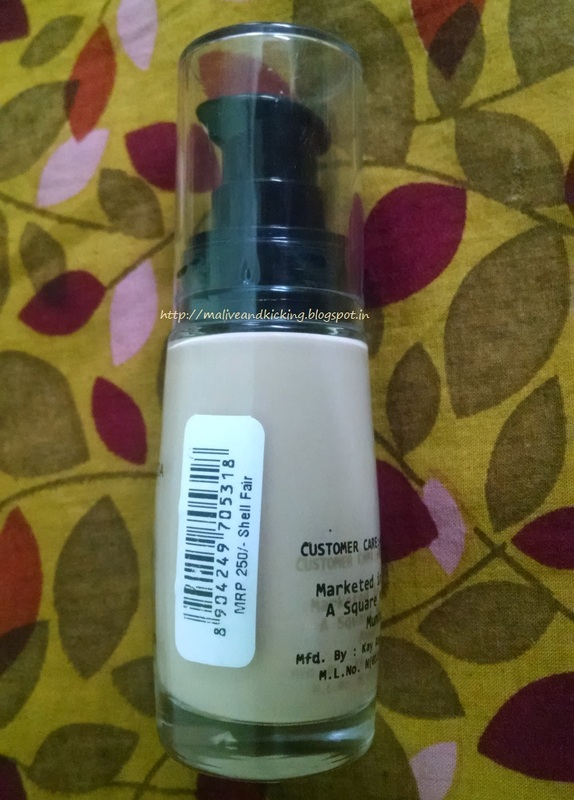 It evens out the skin tone and covers any imperfection like discoloration, light spots etc. It lasts upto 7-8 hours that is pretty good for me. One can boost the staying power by setting the foundation using pressed powder precisely matching your complexion and flaunt the healthy glow. The titanium dioxide used in the formula protects the skin from sun damage by deflecting UV light. 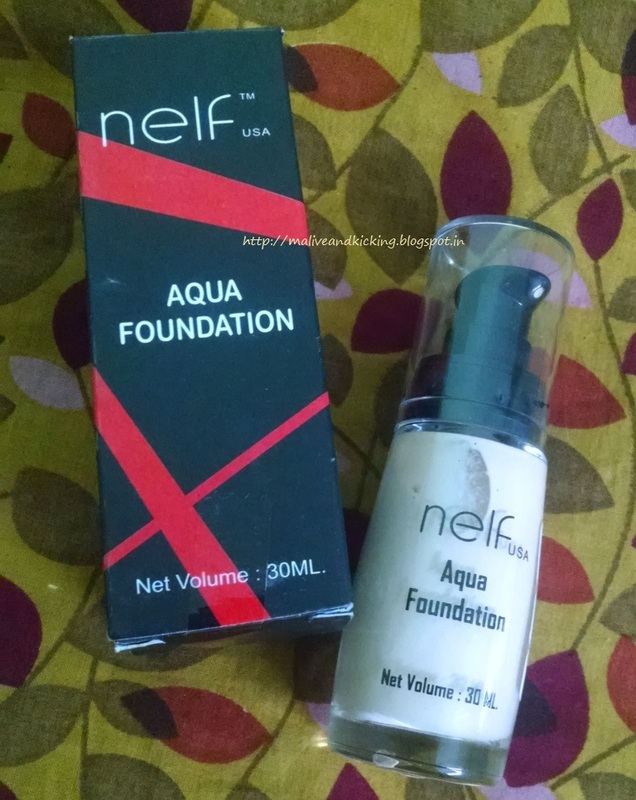 Quite easy on pocket for just Rs 250, the volume of 30 ml is good to last long and worth experimenting to achieve youthful complexion. It's an interesting foundation for sure. I hope they launch the other colors soon. Looks like a promising foundation. 7-8 hours is pretty good staying power. Nice review.